the more points you can earn. Players compete to eliminate each other down to the Final Table of remaining 9 Players. Points will be awarded to those remaining 9 Players. PLAY MORE WIN MORE + BONUS CHIPS! 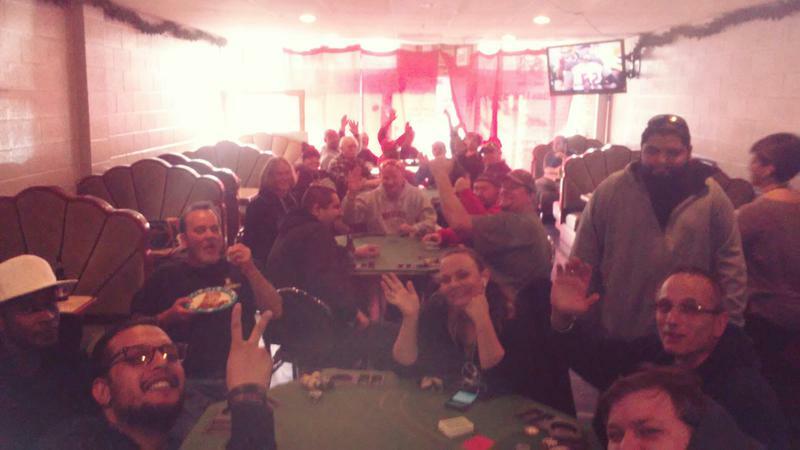 PLAYERS WILL RECEIVE 100 BONUS CHIPS AT THE MONTHLY FOR EACH FINAL TABLE IN THE MONTH OF THAT MONTHLY! PLAYERS WILL RECEIVE 1000 BONUS CHIPS AT THE MONTHLY FOR EACH WIN POSTED IN THE MONTH OF THAT MONTHLY! Past 20 Minutes... you forfeit seat! YOU get 5,000 Bonus Chips! NEW Player gets 5,000 Bonus Chips! YOU get 20 Bonus Points! NEW Player gets 20 Bonus Points! YOU get 1000 Add On Chips at Monthly! NIGHTLY PRIZE POOLS get Bigger! MONTHLY PRIZE POOL gets Bigger! YOUR NEW PLAYERS Thank You! 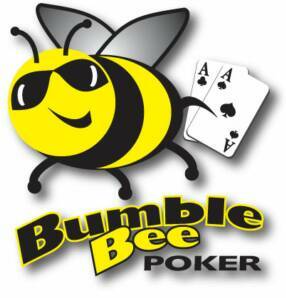 YOU get a FREE Bumble Bee Poker T Shirt!